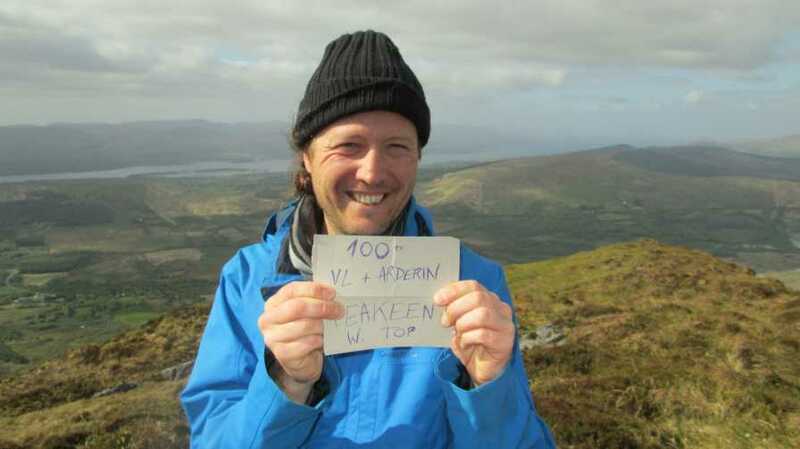 Peakeen Mountain West Top is the 449th highest place in Ireland. Peakeen Mountain West Top is the second most southerly summit in the Mangerton area. Wonderful views down Kenmare bay on a fine day. Be aware the ground below the summit is very boggy and pools of water abound. The best access is via the Kerry way from Gowlane V917 752 A (skirt Peakeen to the N). 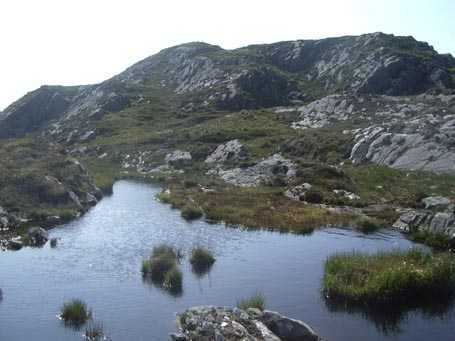 While access is possible from the Molls Gap road via the col between Peakeen W and spot height 525m: there are access issues to Derrygarriff to the west of Peakeen, so the western approach is probably best avoided. There is no real sense in approaching from N (unless you want a longer route via the old Killarney to Kenmare route). From the summit of Peakeen it became clear that its West Top was not the handy ‘over and back’ I was anticipating. In fact the terrain is somewhat more complex than the map suggests. We walked west, then dropped down to the north to avoid possible crags on Peakeen’s western slopes. Bypassed an eastern spur on the right before ascending to a rocky knoll followed by a short walk to the small grassy summit. 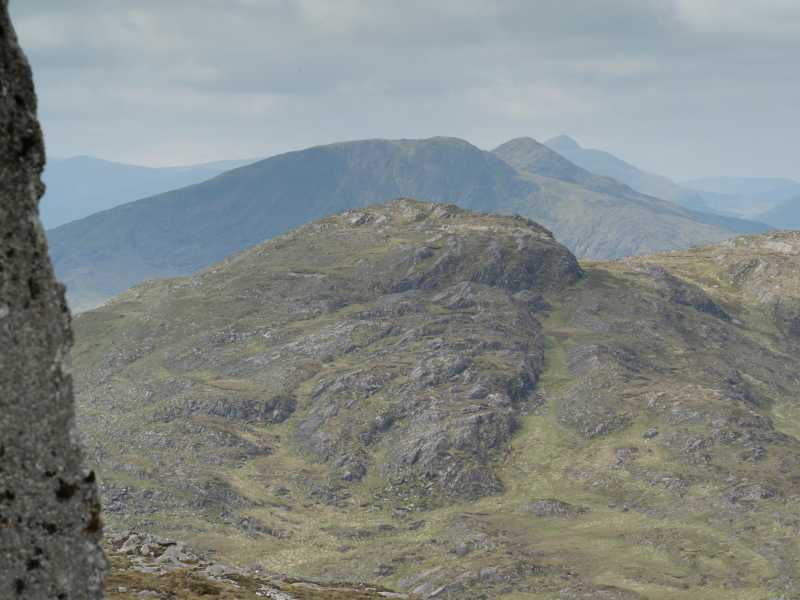 This is a tremendous vantage point with great views in all directions, but especially towards Molls Gap. 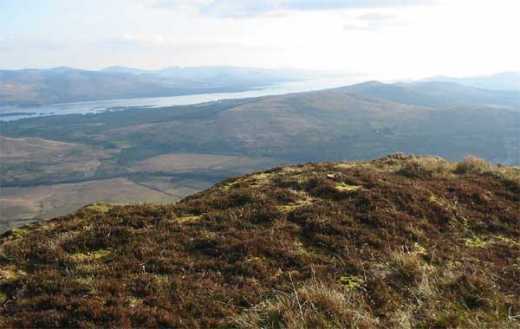 Picture from David-Guenot : On the top of Peakeen Mountain W Top, with Kenmare Bay and Béara peninsula in the background. Picture: On the top of Peakeen Mountain W Top, with Kenmare Bay and Béara peninsula in the background. Really worth a visit ! !